Since 2001, British Council Hong Kong has been building an alumni network to cement relationships between people who have enjoyed an educational experience in the UK. Register your details to join our network for exclusive invites, speaker opportunities, news, and more. If you have any comments or suggestions for our alumni relations development or if you would like to share your association’s events or news, email us at alumni@britishcouncil.org.hk. The Alumni Awards celebrate the outstanding achievements of alumni and showcase the impact and value of a UK higher education. 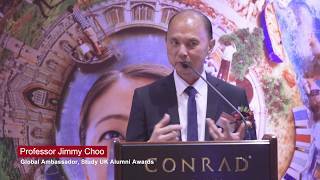 There are lots of Hong Kong based associations for UK alumni. Join one and connect with old and new friends.